The founder and head of the Rittenhouse Writers’ Group for its nearly 30-year existence, James Rahn has made this venerable workshop one of America’s longest running and most prestigious. 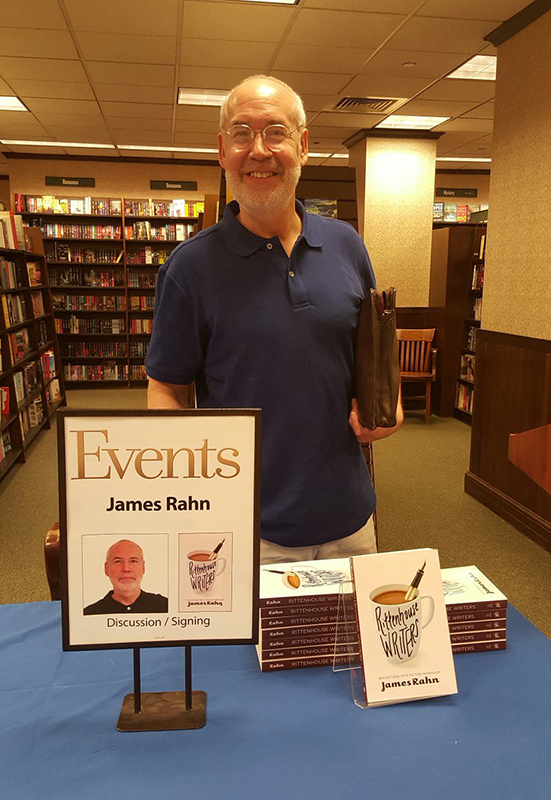 His eponymous memoir of the group details not only his growth as a writer and teacher to hundreds of students, but also his life as a husband and father. This volume also includes 10 current and former members’ short stories. This event will feature Rittenhouse luminaries Diane McKinney-Whetstone, author of the novels Lazeretto and Tumbling; and Tom Teti, a longtime member and former board member of the People’s Light theatre.